It's just over a week until the San Francisco Giants open up the season in Phoenix against the Diamondbacks. There was news today of some roster moves that show the 25-man roster is taking shape. In case you missed it, 5 players were optioned to AAA Sacramento and 6 players were reassigned to minor league camp. Those going to Sacramento are Andrew Susac, Adam Duvall, Gary Brown, Juan Perez, and Hunter Strickland. The 6 guys reassigned to the minors are Juan Gutierrez, Brett Bochy, Curtis Partch, Steven Okert, Guillermo Quiroz, and Brandon Hicks. So what does this mean for the big club? Well by my count 23 of the 25 spots on the roster are filled. It looks like non-roster invitee Justin Maxwell is going to stick with the team as an extra outfielder and Travis Ishikawa has made himself into a utility player with the ability to play the outfield as well as 1st base. The Giants aren't keeping him around just for nostalgia. That leaves 1 spot in the bullpen and 1 spot as a utility infielder. The bullpen battle is down to George Kontos and Jean Machi. Heading in to play on Sunday they have very similar stats. Both players are out of options so whoever the Giants decide not to keep will have to clear waivers before staying with the organization and being sent down. If I had to guess I think they keep Machi. Bruce Bochy seems to have a lot of faith in the big guy. As far as the last IF spot it's down to Matt Duffy and Ehire Adrianza. Duffy has been tearing it up this spring and it's going to be hard to keep him off the roster. 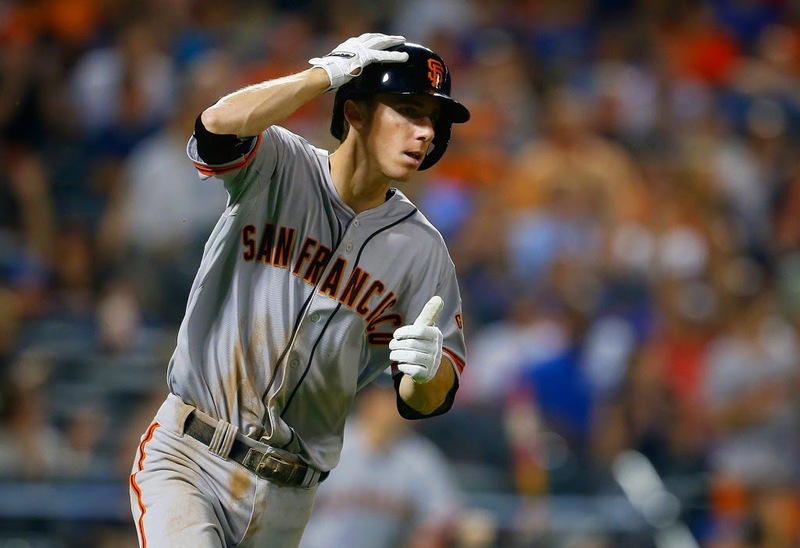 The problem is Adrianza is out of options and the Giants may not want to lose him to another organization. Personally I think it's worth the risk. Duffy has a huge upside and can help this team right out of the gate. Plus, Adrianza has been less than impressive down in Arizona. He had his shot last year to make a lasting impression and failed to do so. What say you Giants fans? Who do you want to see fill out the roster to start 2015? The games count for real in 8 days. I'm ready for some baseball.